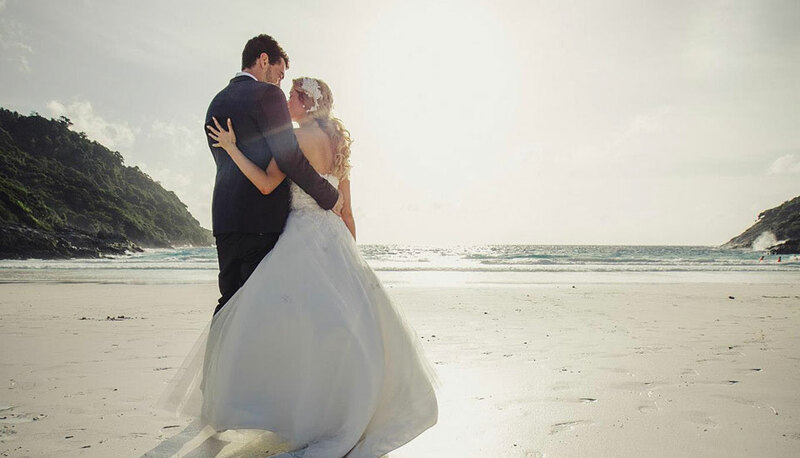 The wedding of your dreams awaits you at The Racha. 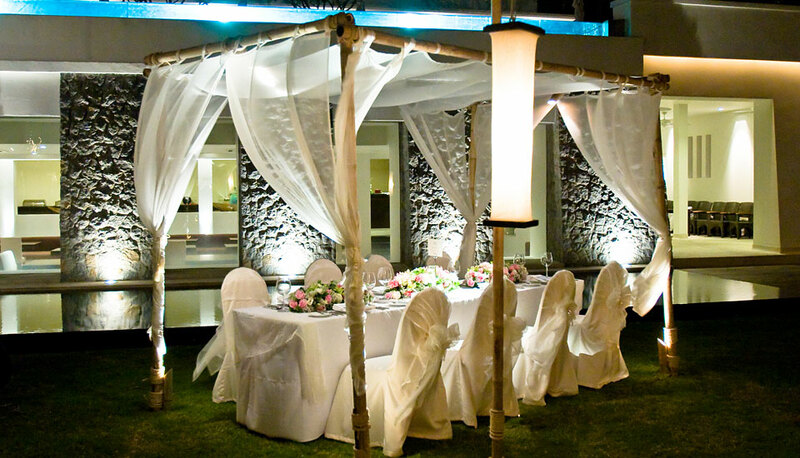 Whether you desire a contemporary, sophisticated celebration or a traditional Thai Wedding, rest assured, we will make it something you’ll forever cherish. This package is perfect for the bridal couple that’s looking to celebrate their union with family and friends in five-star splendour. At The Racha, no detail is overlooked. You’ll have the support of our skilled in-house florists, award-winning chefs, dedicated Wedding Specialist and a backdrop of one of the most beautiful bays on earth! 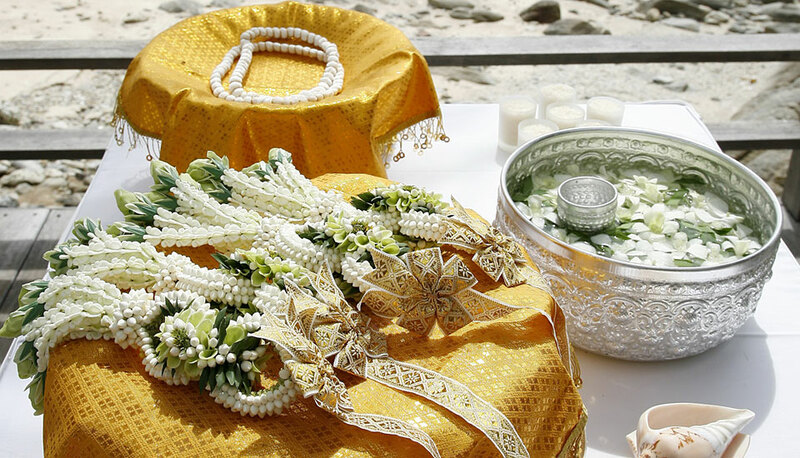 This package incorporates all the authentic and magical elements of a traditional Thai wedding, in an island paradise. 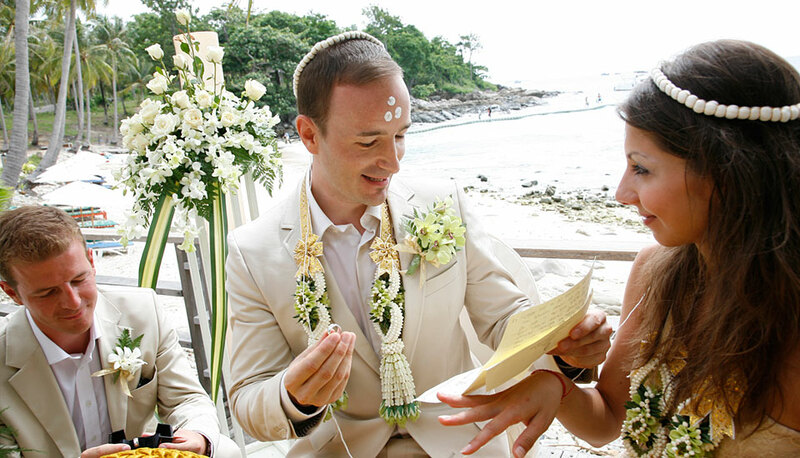 Nothing binds a couple wishing to share their love of each other, and Thai culture, than a Buddhist religious ceremony. Rich in significance and splendour, Thai unions are a sight to behold and experience.